BillyOh provide traditional wooden furniture sets which are high-quality and made to perfectly suit any occasion. 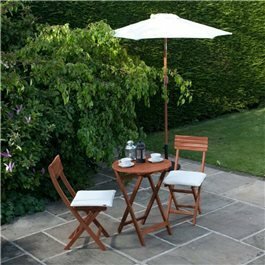 Whether you’re looking for somewhere to enjoy your home-cooked meals outdoors, or a space to enjoy your morning coffee, our range of wooden garden furniture can provide your garden with everything it needs to become a great space to spend time in. We have many wooden garden furniture sets available. For instance, a two-seater bistro set offers you not only the perfect space to relax and catch up with a friend, but a dining table and chairs set you can enjoy with the family all year round. 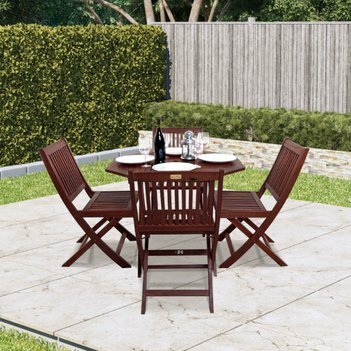 We offer solid wooden garden furniture which is constructed using acacia or eucalyptus hardwood. These materials are ideal for outdoor use as they are durable and long-lasting. A natural finish to the wooden sets looks elegant and stylish. The great thing about wooden garden furniture is that you can also paint the wooden set to fit in with your garden colour scheme if you want to. 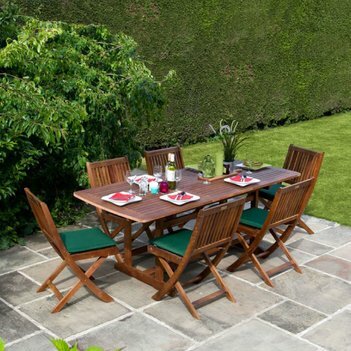 Versatile garden furniture is what we aim to provide you with. 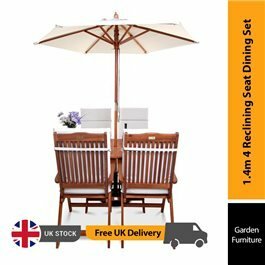 Therefore, with a lightweight design and a folding chair, you can easily move your wooden chairs sets around or store them in your garden building when not in use. 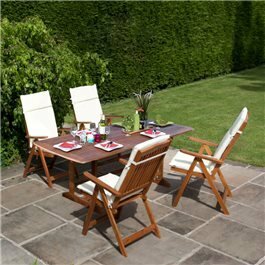 Wooden dining table and chairs sets provide you with traditional garden furniture which is truly timeless. 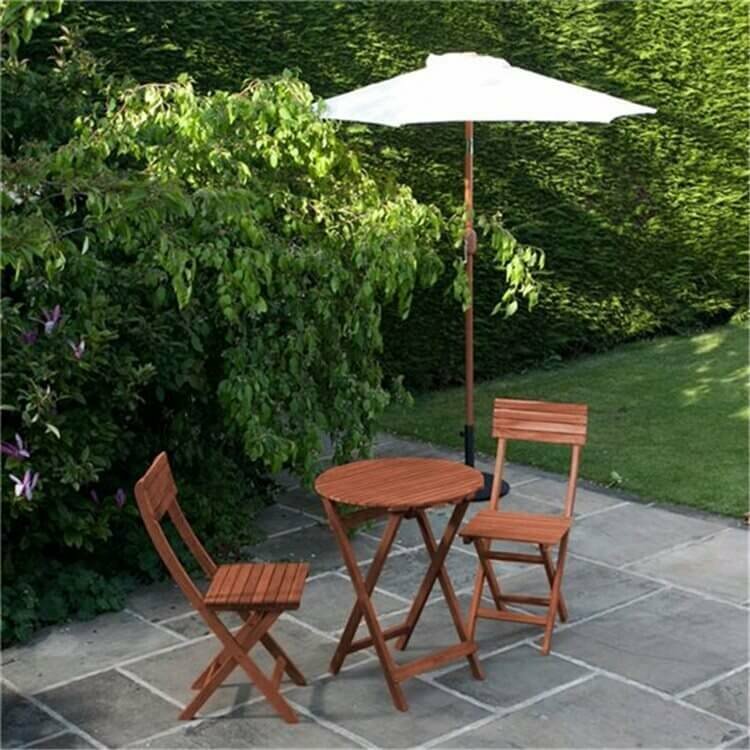 If you want to make the most of the time spent outdoors with your loved ones and enhance the overall appearance of your garden, a BillyOh wooden seat dining set is the ideal choice. Furthermore, complementing a traditional garden setting perfectly, you can relax in a sun trap or the pretty part of the garden, in total comfort. 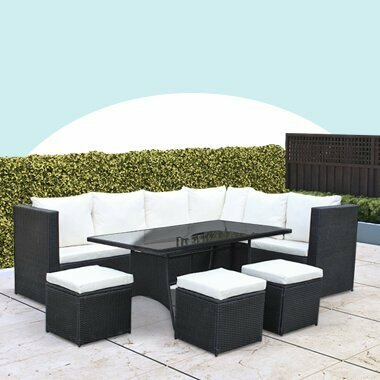 Add cushions to the seat set and seater sofa for ultimate comfort while relaxing outdoors. Our seat cushions come in a number of sizes and colours so that it fits to your wooden set. If you’ve got a small patio or balcony that needs some love and attention, then a bistro set is the answer to your woes. Foldable dining tables are the ideal size for your to spread out your books or magazines or accommodate lunch and drinks for two. 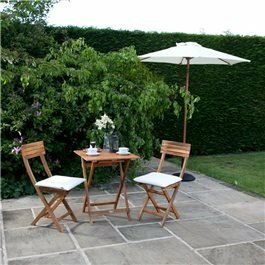 Whether it’s chunky garden furniture or compact garden furniture, Keep an eye out for our wooden sets in the wooden garden furniture clearance page. Here you will find your ideal garden pieces at incredible prices. All items featured in clearance, are limited stock only and once they’re gone, they’re gone! We have new wooden sets arriving all the time so you are guaranteed to find garden furniture set which suits your tastes and garden style. Whatever ambience you want to create with your garden, a wooden set can provide it.